License Plate Scanners Raise Privacy Concerns, But Do They Help Police? Winooski Sergeant Michael Cram operates an automatic license plate reader (ALPR) in his cruiser on Sept. 20. ALPRs use high-speed cameras mounted on police cruisers that take photos of passing cars. There are 116 in the state. The Automated Plate Recognition Systems, or ALPRs, use high-speed cameras mounted on police cruisers that take photos of passing cars and relay them to an in-car computer for analysis. The technology keeps track of every license plate the cruiser passes and checks each against a “hot list” of vehicles, all in real time. Even with the millions of scans, the system has not led to many arrests or breakthroughs in major criminal investigations. Law enforcement officials say the ALPRs help keep the public safe and enhance their traffic enforcement abilities. But civil liberties advocates worry that collecting data on the location of thousands of people who aren’t suspected of wrongdoing is a violation of Vermonters’ rights. Gilbert says these individual reads can add up to a larger violation of privacy. “After a while, a whole series of bits of information about us can paint a pretty detailed picture of where we’ve been,” Gilbert says. While piecing together such information is technically possible for police in Vermont, the technology has done relatively little to help police in the state locate criminal suspects, solve crimes or even enforce motor vehicle law. 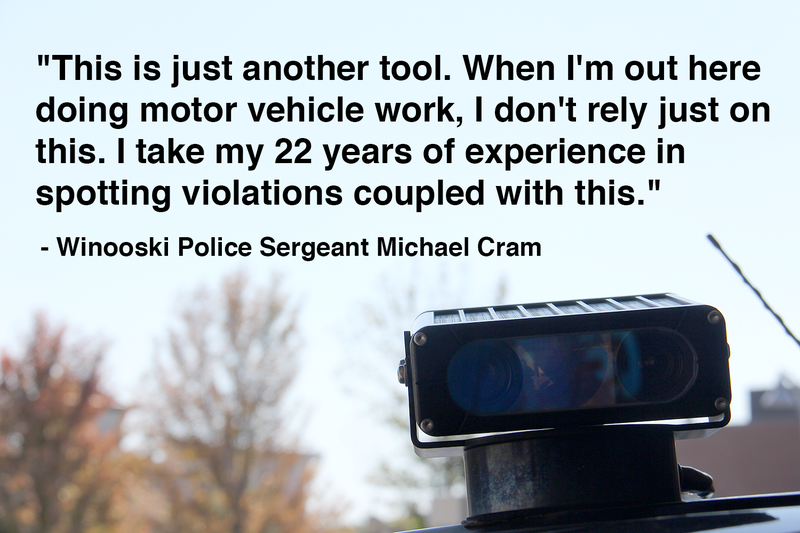 The city of Winooski has one vehicle equipped with an ALPR unit, purchased about two years ago with federal Homeland Security funds. Sergeant Michael Cram is frequently the one behind the wheel of the 2012 Ford Explorer equipped with the technology. Cram says the unit is helpful to the city’s efforts in traffic enforcement, but it’s not the magic bullet. In the 18 months leading up to Jan. 1, 2013, the 61 license plate readers operating in Vermont logged 7.9 million license plates and stored them in a central, statewide database along with the time and location they were scanned. Cram’s methods haven’t changed dramatically since before the ALPR came into the picture, and the technology is mostly helpful in showing him what to look at. He waits on Main Street in Winooski, just uphill from the city’s heavily-used traffic circle. It’s mid-morning and the rush hour congestion is gone, but cars and business trucks keep the street busy enough. Less than two and a half minutes after he pulls over, the Toughbook has beeped 21 times, each beep remarkably similar to the sound of a grocery store barcode scanner and with a similar purpose: Each signifies a new license plate scan, to be logged for the next 18 months in the state’s database. After about five minutes, a jeep drives by and triggers a different sound – like a fog horn being played over tiny speakers. The screen, which usually flashes green with every completed scan, lights up red. The jeep is on the hot list, according to the computer, because the man it’s registered to has a suspended driver’s license. Cram pulls his cruiser into gear and follows, but doesn’t turn his lights on. He calls in the plate number on his radio and asks the dispatcher to verify the information his computer is giving him. If it seems redundant, that’s because it is. Cram says he and other officers in his department go to great lengths to avoid stopping someone without probable cause. Under case law interpreting the U.S. Constitution, pulling over a driver is considered a detention. Cram follows the Jeep for a few blocks, watching for infractions while he waits for the dispatcher, but the driver doesn’t make any mistakes. When the dispatcher comes back on, he says the man that the vehicle is registered to does have a valid license. Cram stops his cruiser and the Jeep drives away. “So that, right there, is why we check with the live database,” Cram says. The ALPR unit said the driver was suspended, but the DMV’s live database –which the dispatcher has access to, but the in-car computers don’t – said otherwise. And the database overrules the ALPR systems – which are updated twice a day – when there’s a disagreement. This caution, and the fact that alerts from the units are often in error, may explain why the number of tickets issued for suspended licenses and expired registrations hasn’t gone up since ALPRs were introduced. Because officers aren’t required to indicate whether a ticket was issued because of an ALPR alert, there’s no way to know exactly how much the technology helps. Throughout the morning, this happens two more times: The computer screen flashes red, Cram pulls out and follows a car, but the dispatcher ultimately tells him that there’s no probable cause for a stop – that the computer is wrong. One alert is correct, and after the dispatcher confirms the information, Cram makes a stop for a vehicle with an expired registration. The driver says money’s tight, and she’ll register it when she gets her next paycheck. He tells her to bring proof of registration to the station the following week, and doesn't write her a ticket. 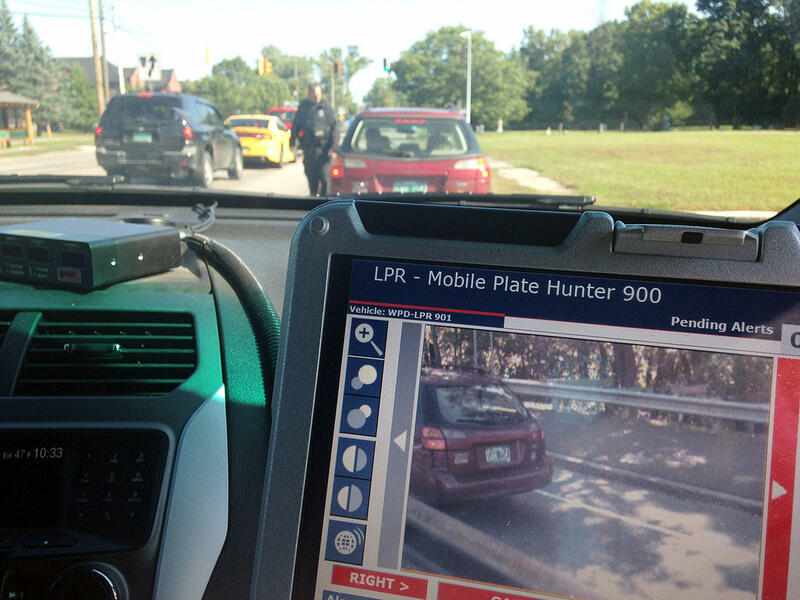 Officers check ALPR alerts against the state's DMV database before pulling anyone over. Officers can request historical data for a given time and area to see which cars were near a place of interest in a case. They can also submit a license plate to the database for addition to the hot list, so that if a given vehicle gets spotted by an ALPR, the officer in that cruiser is alerted. That’s what happened last October, when Cram got a report of a stolen vehicle. He had the plate added to the hot list, and the ALPR unit on a cruiser in St. Albans scanned it. So with the help of the ALPR, the case was solved. Those success stories are rare, and the people who maintain the statewide database don’t know them. The Vermont Intelligence Center, which operates under the control of the state police, is responsible for storing data about every license plate scan in the state and for maintaining the “hot list” of cars that trigger alerts when an ALPR reads them. The list includes vehicles associated with criminal investigations, such as a stolen car, as well as the more minor violations like expired registrations. Under the state law governing the use of ALPRs, the center is also the final check against abuse of the system. Every request sent to VIC as part of an investigation is vetted, and if a staffer finds the request does not serve a legitimate law enforcement purpose they are not allowed to complete the request. Once those requirements are met and the data is sent, though, VIC is done with the request. There is no requirement that the requesting officer or agency report back with the results of their investigation, and VIC only needs to keep track of where the data goes, not how effective it is. Despite the financial investment in automatic license plate readers - more than $1 million - the systems were helpful in solving fewer than five crimes in 2013. Ron LaFond, a civilian analyst at VIC, says the center will lobby lawmakers to establish reporting requirements that will require agencies to follow up with the results of a request, making “success stories” easier to find in one place. Current state law does require VIC to report annually to lawmakers about the ALPR system. Information from January’s report combined with records from police agencies across the state show that VIC misreported numbers on the use of the system to lawmakers and that – Cram’s case included – ALPRs and the data they generate have been helpful in just three criminal investigations. In 2013, law enforcement officials in Vermont asked for help from the state’s ALPR system 105 times for a variety of reasons from searches for missing persons to smuggling investigations. That number includes requests to add plates to the hot list as well as requests for historical searches of the database. Of those 105 requests for help, VIC gave out information only 16 times. (They told lawmakers 40 because they included responses for which no data was available). Of those 16 releases of information, only three helped investigators solve their case. A fourth was a U.S. Border Patrol case that officials refuse to comment on because the case hasn’t gone to court, making it impossible to know if the ALPR data was helpful. In total in 2013, the license plate readers have helped officers locate two stolen cars and have verified a victim’s story in a case of internal fraud at the Department of Motor Vehicles. When VIC reported to lawmakers in January that ALPRs had gathered 7,921,182 plate reads over the previous 18 months, they were working with 61 active license plate readers (two had been purchased but not yet installed). At that point, federal Homeland Security grants had paid in full or part for all but 10 of the units, and the total cost for the 63 was $956,585, according to state data. As of January, Federal Homeland Security grants had helped pay for all but 10 of the state's 63 ALPR units. By September, there were 116 ALPRs in the state, but none purchased since January were paid for with Homeland Security funds. 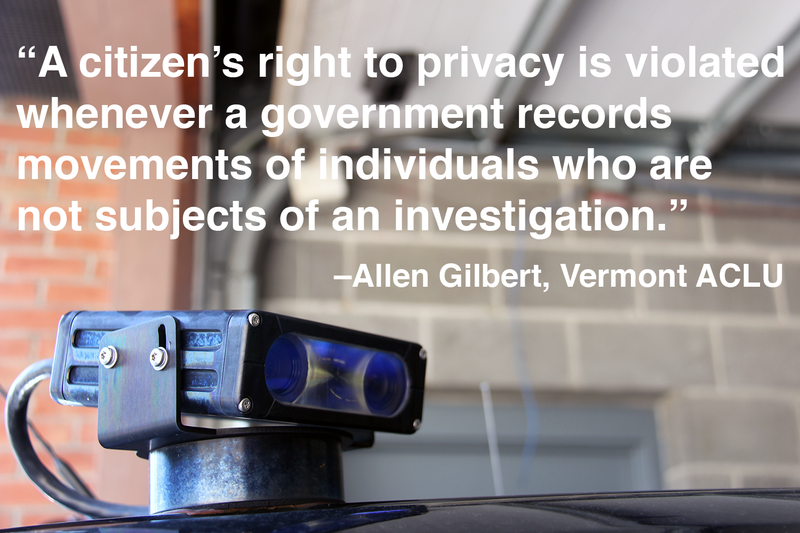 To Allen Gilbert at the ACLU, the data shows a state over-investing in a technology that shows few results despite serious implications for Vermonters’ constitutional rights. Whatever the price tag for license plate readers, Gilbert says his concerns stem from the social cost of the technology. Tim Ashe, a state senator representing Chittenden County, introduced the legislation that currently governs ALPRs. He says the historical data may be useful to law enforcement in the future, such as during an missing persons investigation. Indeed, he said that was the main argument police used when pushing for longer retention times. "Law enforcement, to their credit, believed that these license plate readers would be most likely to benefit Vermonters in cases of missing children," he said. Ashe says historical data could be used to check for suspect vehicles in the area of a kidnapping, for example, even if the victim wasn't reported missing for days. That value, he says, needs to be balanced against the privacy considerations that got him involved with the issue in the first place. 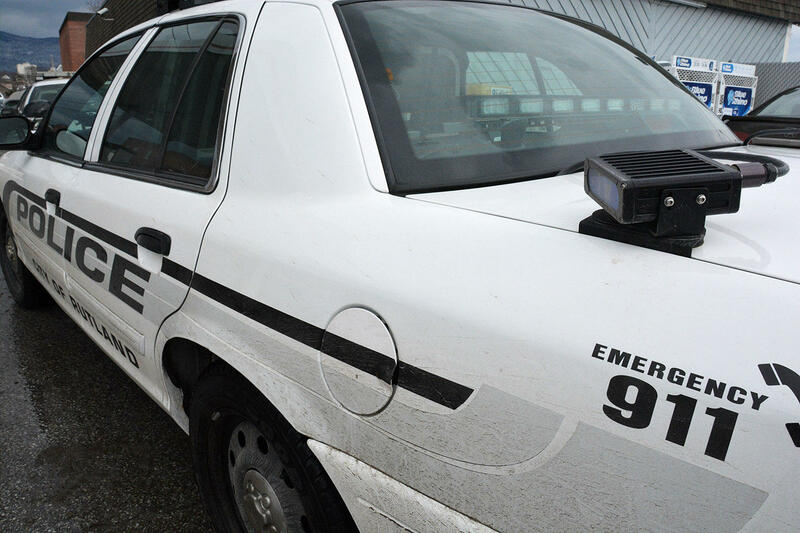 Armed with years of information about ALPR use in Vermont, lawmakers will take up the issue again next year, when the current law expires. At that point, lawmakers could change ALPR regulation entirely, and have the option to do anything from total deregulation to banning the devices. Ashe thinks the state can find the right middle ground between public safety and privacy. "Any intrusion into our private lives is worrisome," Ashe says, "but I believe if we can contain the utilization for appropriate purposes, we can probably strike the right balance that we don't have to eliminate these things all together." In Springfield Monday night, more than 200 people turned out to consider ways to deal with the problem of drugs and criminal behavior in town. Rutland Police Chief James Baker was asked to come to Springfield to talk about Rutland’s approach to similar problems over the past few years. Baker is also the former director of the Vermont State Police. He said it takes more than police action to deal with drugs and crime. It takes creating an environment that isn’t conducive to illegal activity. The Vermont Supreme Court has ruled the state can't collect DNA evidence from suspects in criminal cases unless they've been convicted of a felony. In a 3-2 decision issued Friday, the court ruled a state law that allowed for the collection of DNA from people charged with felonies after a court decided there was probable cause violated the Vermont constitution. Three years ago, Vermont's DNA database law was expanded to include people charged with felonies. Five Vermont trial courts have ruled the law unconstitutional.